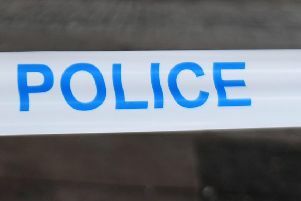 Police in Rothesay have issued a warning after a Bute woman was targeted in a phone scam bid. An East Dunbartonshire pensioner is warning people to beware of phone scammers operating in the area. A bogus caller, posing as a tax officer, told Jean Watson (75) she was eligible for a tax refund. The caller asked for her bank details and when she refused, the scammer hung up. Jean said: “She said she a tax officer from the Ministry of Justice, so I was immediately suspicious. If you are concerned about a phone call you have received, contact East Dunbartonshire Trading Standards on 0300 1234510 or e-mail trading.standards@eastdunbarton.gov.uk.